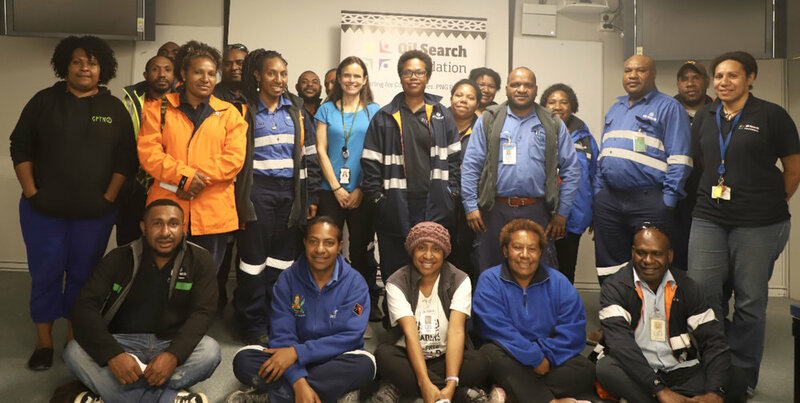 The Oil Search Foundation (OSF) Scholarships are offered to a limited number of high performing Papua New Guineans in partnering tertiary institutions in PNG, with a focus on the fields of health and education. The awards are offered to individuals who meet the Foundation’s scholarship requirements and are willing to work in rural areas of Gulf, Southern Highlands and Hela provinces for at least two (2) years upon the completion of their studies. Diploma in Early Childhood Education students at UoG. These scholarships are offered to practising elementary teachers serving in Hela, Southern Highlands and or Gulf Provinces. In late 2018 we signed an agreement with Oil Search Limited to manage their scholarship program in 2019. In partnership with the Hela Provincial Health Authority and the Australian Government through the PNG Partnership Fund, the Foundation has offered scholarships to Bachelor of Midwifery, Community Health Worker training, and final year nursing candidates from Hela Province. 2018 OSF Midwifery Scholarship Recipients after their Graduation at Divine Word University. All scholarships provided by the Foundation include leadership training and activities. Applications for all 2019 scholarships are now closed. Applications for 2020 scholarships will be open in the third quarter of 2019. Scholarships managed by the Foundation are promoted and offered through universities, and through the Foundation’s development partners in Hela, Southern Highlands and Gulf Provinces. The implementation of this first focus area will commence in February 2019 with a saturated effort throughout quarter one however will be maintained over the entire 12 months. The plan aims to utilise lunch and learn sessions, town halls, tool box sessions, coffee hub screens as well as the more traditional formats of newsletters, blog and intranet stories, press releases, television and radio to communicate what OSF does. The use of social media will play an important role in communicating the OSF story and a visual media campaign is proposed as part of this comprehensive plan.